The Iso-Max SMMDB is a stereo direct box designed to drive unbalanced hi-Z signals distances to 100 meters (300’) or more at mic level without high frequency loss or introducing noise into the signal path. The design begins with a rugged aluminum enclosure and rubber feet for scratch free table mounting. The SMMDB comes standard with RCA and 3.5mm inputs and XLR outputs. Inside, two high-performance Jensen JT-DB-EPC transformers provide galvanic isolation as they passively lower the impedance and perform the balancing. Transformers provide isolation between the source and the destination and are extremely effective at eliminating hum and buzz caused by ground loops. This is augmented with a ground lift switch at the XLR outputs. An external mu-metal® can further protect the sensitive internal workings to ensure a quiet interference-free performance even when surrounded by magnetic fields from amplifiers, power supplies and stage light dimmers. 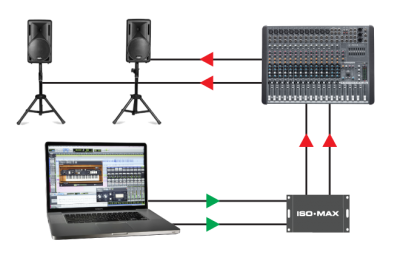 A handy stereo-to-mono switch makes it easy to reduce the output channel count or send the same balanced signal to two destinations at once. With over +22 dB of signal handling capacity at 20 Hz, the SMMDB gracefully handles extreme signals such as those produced by uncompressed audio files while producing a warm Bessel response that is pleasing to the ear. 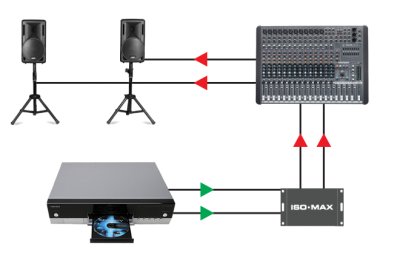 Plug and play with no power required, the SMMDB is the ideal choice for AV technicians that need a quick and simple solution. The SMMDB operates in true stereo (dual mono) making it ideal for stereo devices like laptops and DVD players. 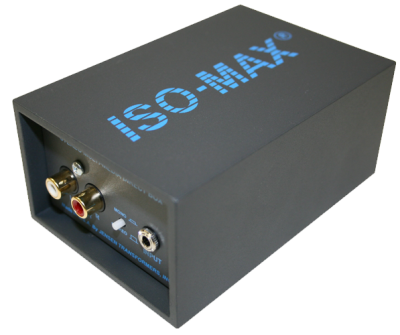 You can connect with RCA or 3.5mm jacks, quick and adapter-free. 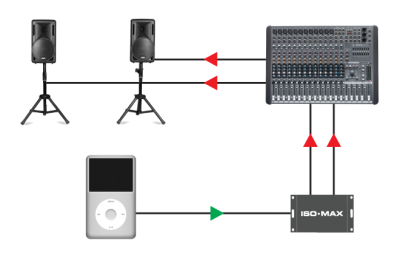 The SMMDB is perfect for interfacing consumer audio electronics with pro PA and recording equipment. The RCA and 3.5mm inputs on the SMMDB can sum the left and right stereo channels to a mono output. Connect the line level output from your CD player or hi-fi using the convenient RCA jacks to feed the PA system at the far end of the room.